Grey skies threatened to snow all day on Thursday. 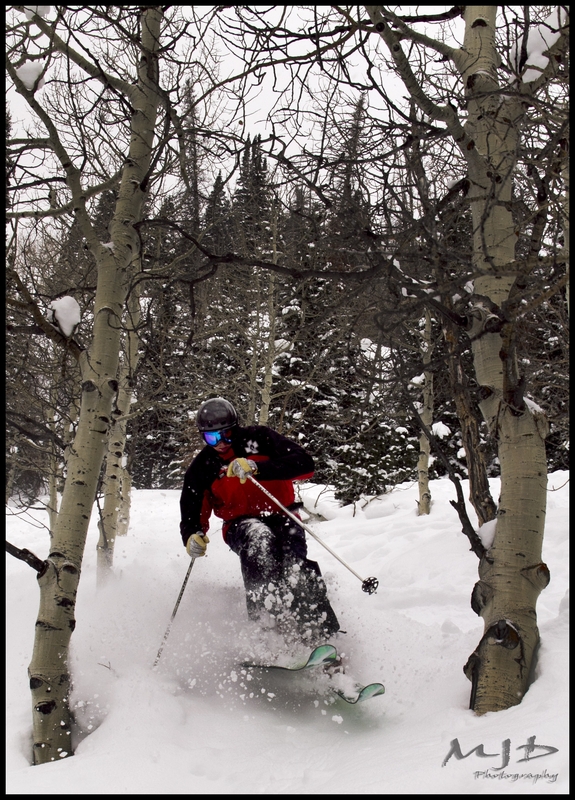 Ski Patroller TJ Somers got out into Centennial Trees off Lady Morgan Express to find a little untracked snow. With 7″ of snow last night and 2-3 feet of snow expected by Sunday, this will be buried in the fresh white stuff all over again. There will be PLENTY of fresh tracks this weekend. Gotta love Utah!